That’s the amount of time it took the newly formed food pantry on campus – the Lion Co-op – to go from a pitch to reality. Officials cut the ribbon this morning to mark the opening of the Co-op, which is housed inside the FEMA shelter next to the residence halls. The program will begin distributing food and personal items on Thursday, November 15. Although it was founded to primarily help students, the service is open to anyone in the MSSU family – students, staff and parents of children who attend the Lion Cub Academy. Dr. White came up with the idea in the spring after several entities on campus had noticed a growing trend of hunger and its side effects. By late July, she, along with Dr. Andrea Cullers and Dr. Megan Bever, had come up with a game plan. Social Work students also played a role in the project coming to fruition. They researched those students who were currently enrolled and realized that they were making hard choices about how to spend their limited resources. Since then, they, along with numerous individuals and organizations on campus and within the community, have donated countless items and contributed to the cause financially. Physical Plant workers and volunteers also helped by bringing in and setting up shelves in the FEMA shelter. 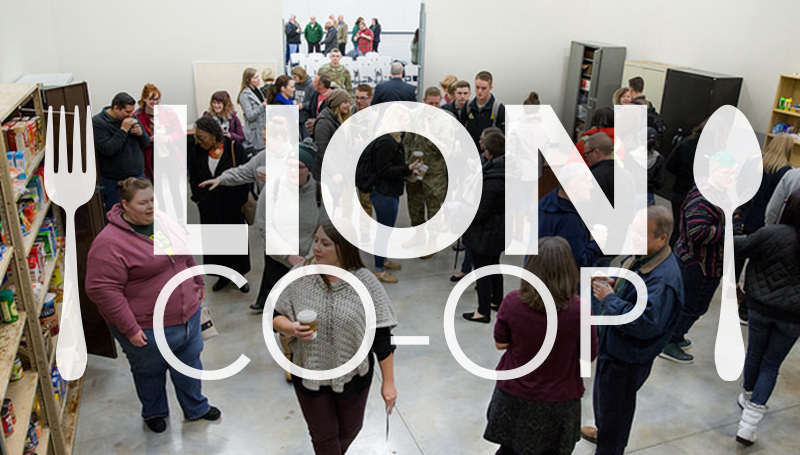 The Lion Co-op will officially begin operating on Thursday. Hours are 10 a.m. – noon every Thursday and 2 p.m. – 4 p.m. on Mondays. These hours will continue through May 2019, including Winter Break. For more information on how you can make donations, contact Dr. White, Dr. Cullers or Dr. Bever.